Lincoln Music Workshop was established in 1965 at a time when musical events in Lincoln were a rare commodity. It offered a variety of opportunities for both musicians and listeners to participate in live music. 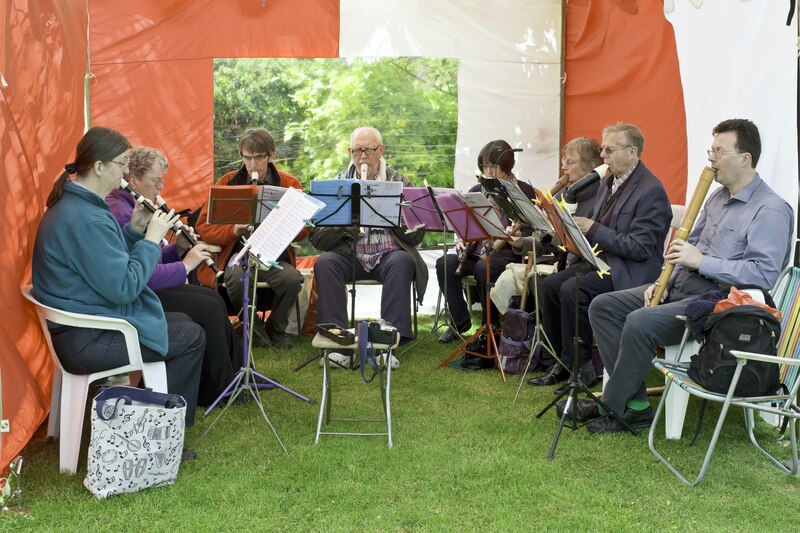 As the music scene in Lincoln improved, most of the Workshop activities faded away, but the Recorder Group continues to flourish and meets in North Hykeham on Monday evenings from 7.15pm until 8.45pm. This small, friendly group welcome adult players of all abilities. They play a wide range of music in many styles and from all periods. They often perform at local events and in March, they participated in the Lincoln Music Festival. Our latest ‘performance’ was at the Skellingthorpe Open Gardens day. Some of our members spent the day playing in a gazebo. In spite of the windy weather, we were delighted to be able to contribute to this fund-raising event to aid St Barnabas Lincolnshire Hospice. I am just learning to play the recorder and would be interested in having a look what your group offer. Thank you for your comments. I wish you lots of fun and friends in the recorder world.